On June 15th we had an auction of some of Jack Archer’s wines as well as 3 Cuban Cigars. We raised $1276 that will go to the Rotary Foundation. Thank you for all who bid and donated! Jack’s Celebration of Life is Saturday, June 16th. 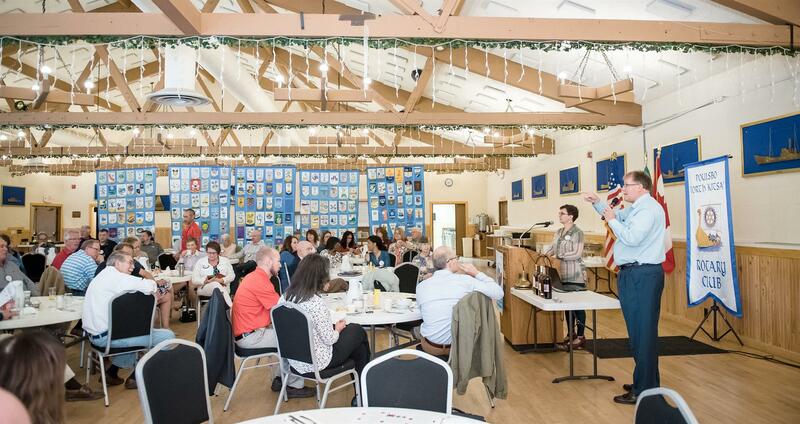 Our Rotary club was able to make 2 check donations this morning: One for $200 to the Math Olympiad to pay for the registration to this year’s competition; and a 2nd to Kitsap Children's Musical Theater for $1400 to help purchase 4 new sewing machines! 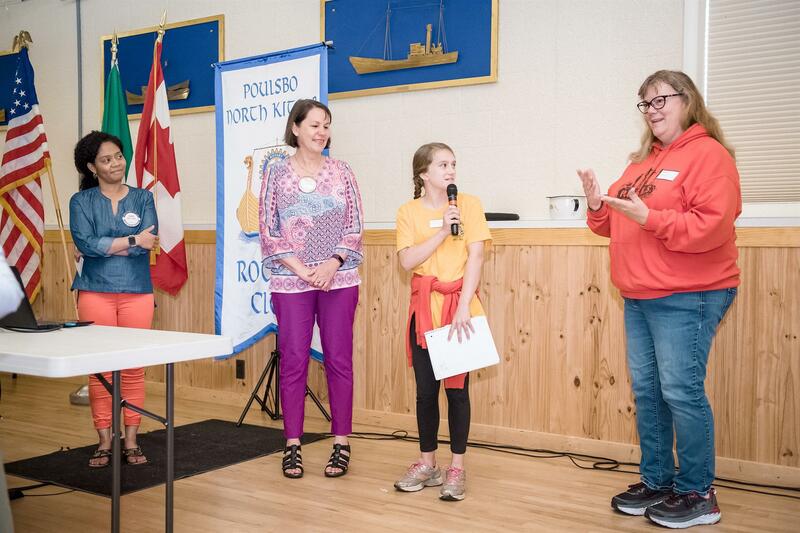 Funds Development: Donna Pledger reported on the great work that Funds Development did in 2017/2018. 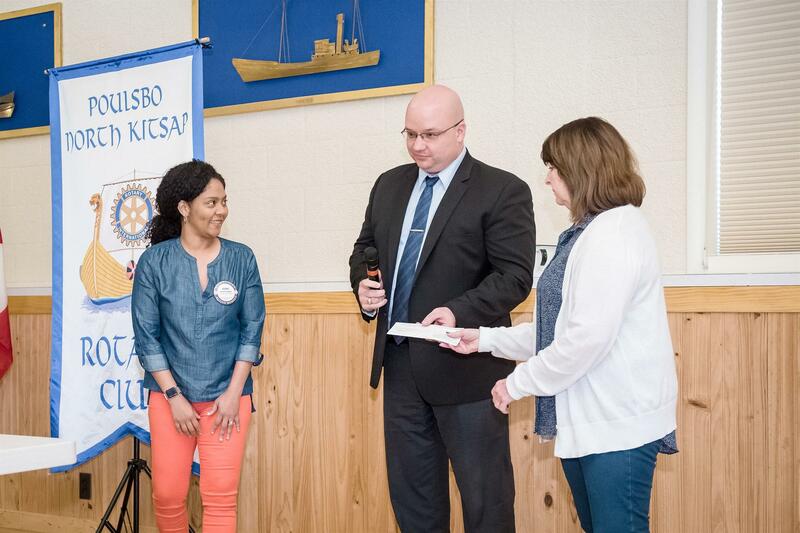 Their goal is to have a comprehensive plan for the whole year that will honor the donors/donations as well as support the Rotary brand. They do this by setting policy, general donation oversight, investigating new revenue sources and brainstorming ideas. The 3 major events they focused on this year are the Gala, Viking Tour and the Kitsap Great Give. 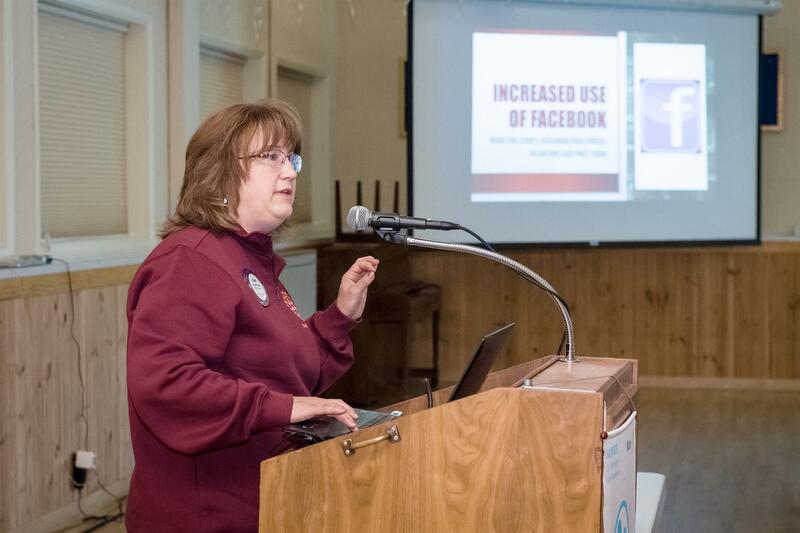 Public image: Cindy Tveit shared the activities of the Public Image committee. 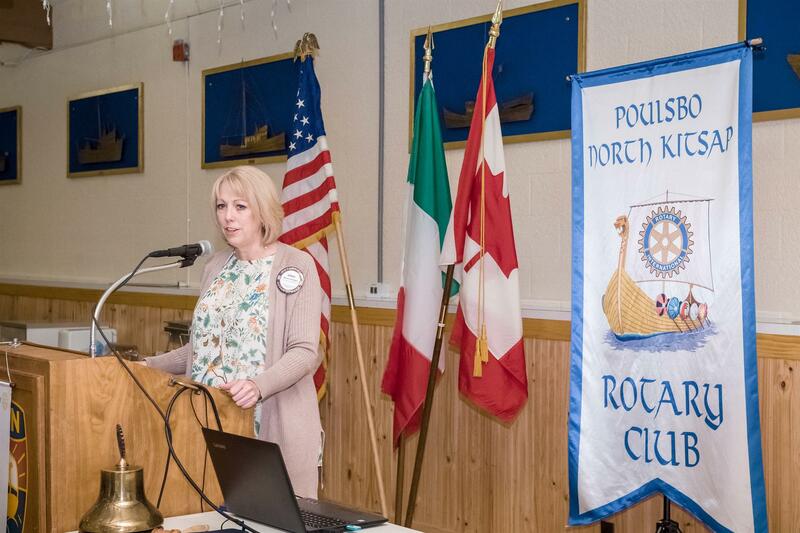 Our goal is to bring more awareness of the great work Rotary does in the North Kitsap area and beyond. Some ways we make that happen are: increase use of Facebook; increasing a presence in the print media (including letters to the editor and 3 articles to date in the Herald); as well as an increase in internal engagement, including changes to the website, weekly What’s Coming Up and Meeting Highlights, a new sign at Snider Field, great visibility thru apparel (hats, fleece jackets, etc. ), and snapshots of dollars and hours donated to the community. 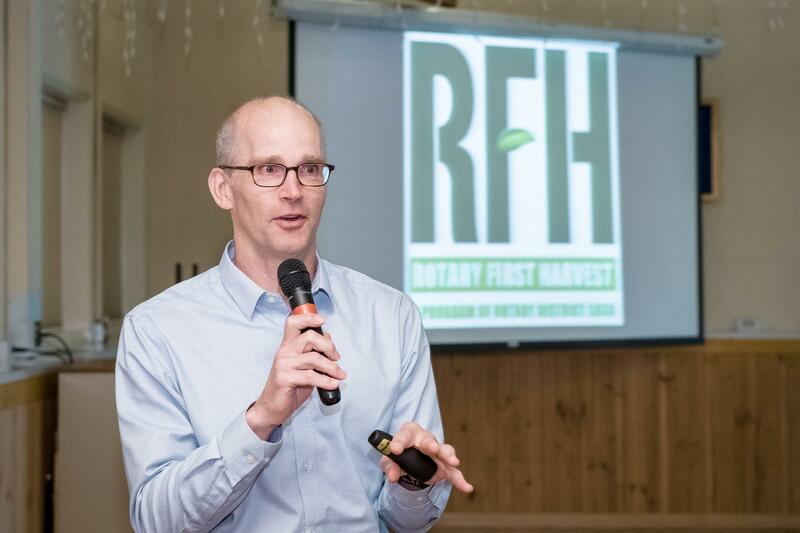 Born in 1982 from the mind of a single Rotarian – proving that it one takes one of us to make a change for good in our work – Rotary First Harvest is a group which collects food that might go wasted and unused and helps to get it into the hands of those who need it. With a staff of only 4, David and his team from District 5030 have collected over 418 million healthy servings of produce to aid the 1.14 million needy people in Washington state. Did you know that 60% of the 1.14 million are children and seniors? Did you also know that 40% of food in this state is “wasted”? Food is collected directly from farms large and small in our state, they get help harvesting and gleaning from area clubs and Americorp volunteers. Food is then picked up by trucking company and trucking school's partners to be delivered to groups like NW Harvest – who in turn help to distribute to other food banks in the state.